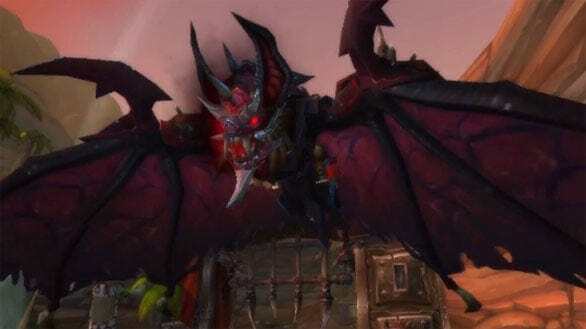 World of Warcraft fans get ready to welcome the arrival of a new mount called Armored Bloodwing. Both Alliance and Horde factions will find great pleasure in utilizing the new addition now that it?s unlocked for every battle.net account. Armored Bloodwing was just added to the Blizzard Store and costs $25. This sinister mount joined the many World of Warcraft pets like a bat out of hell, literally. Armored Bloodwing resembles a giant bat-like creature, sporting demonically glowing red eyes. The creature also has smoke constantly emanating from its face. What could be more intimidating then grabbing the chains of a demon bat and guiding it through the skies of Azeroth? Players can saddle up and take reins of Armored Bloodwing as soon as they want. Despite so many MMO titles releasing content these days, World of Warcraft is still finding a way to satisfy players; albeit at a more expensive price than almost any of its competitors.